Mara Serena Safari Lodge set on the saddle of a hill, overlooks the 1800 square km of the rolling plains, woodlands and rivers that make-up the Maasai Mara triangle – one of the worlds’ richest wildlife sanctuaries. No other lodge can boast such a spectacular of the surrounding landscape, game and birdlife. It is on this very much terrain stretching endlessly before the lodge where the annual migrations take place, when millions of Wildebeest, Zebra and gazelle transverse the landscape to feed on the rich new grass and give birth to their young. Accommodation is in 71 rooms all overlooking the plains below. Additional features include a floodlit swimming pool, poolside barbeque massage and beauty treatment, a water hole (where animals come to salt-lick), hippo pool breakfasts, musical Evenings, Maasai dances, wildlife films, resident naturalist lectures and game drives among others. 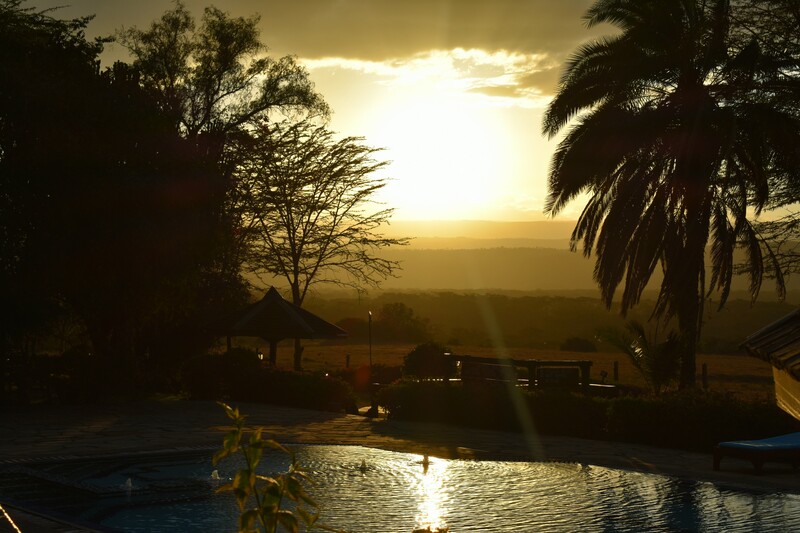 Mara Sarova Lodge is Located on the Eastern side of the famous Maasai Mara Game Reserve, close to the Sekenani Gate. The camp is set on an elevation surrounded by two streams. The grounds are beautifully laid out with trees and plants, and electrical fences surround the lodge. Accommodation is in 75 bed rooms (72 twin rooms and 3 triples), each of which is a luxurious tent. Each room has a permanent shower and WC, and permanent roof and zip-up front. Facilities here include Isokon Restaurant (with two sections, one internal and one external with a canopy) where guests are served with meals, Oloip Bar (with a cosy log fire place), and a swimming pool surrounded by comfortable sun-loungers. Guests are welcomed to this cool and clean camp with a glass of chilled fruit juice, and entertained in the evenings by traditional dancers. Mara Sopa Lodge: Located on the South Eastern edge of the Maasai Mara Game Reserve, this lodge has 200 beds by way of 77 rooms, 12 suites and 1 Presidential suite, all of which are \\\'rondavel\\\' style and have en-suite bathroom facilities which provide shaving sockets and hairdryers. Every room and suite has a private, elevated verandah with splendid views across the valley and on which guests can relax, sunbathe and watch resident birds and wildlife. Mini-bars are also available in each room. The lodge has direct-dial telephone facilities as well as satellite television and video options. Lodge generators provide 240volts, 50 cycles 24 hours a day. Our water supply comes from nearby springs but guests are advised not to drink from the taps. Instead, filtered water is provided in flasks in every room and bottled water is available for sale. The lodge has a freeform, fresh-water pool, which offers spectacular views over the valley. Early breakfast followed by a morning game drive finally we shall come back to the tent for a late breakfast followed by a full day game drives within the reserve. The Masai Mara is famous for its black manned lions, elephants and buffalo that make three out of the ‘big five’ though luck is essential factor for spotting the timid animals, concentration and abundance is second to none. We will cater for a picnic lunch at the hippo pool where with luck you may spot crocodiles basking on the rocks. Numerous plains game including antelopes, wildebeest, zebra, maasai giraffe can be seen as well as scavengers like hyena and vulture. In the late afternoon (at an extra cost), go for optional activities like having a nature walk, visiting Maasai villages to see the nomadic lifestyle or swimming in the nearby lodges. Rest of meals and overnight. Since this is our last and final day in Maasai Mara region early morning game viewing is recommended in the park in search of the animals that we had not seen for the last two days mostly the nocturnal cats such as leopard which are timid. Then we return to the camp for late breakfast, after which leave Masaai Mara with another game viewing after breakfast finally leisurely we shall drive back to Nairobi lunch served enroute arriving in Nairobi at approximately 4-5 pm. Reserved for transfer to International Airport.